The state’s 19th Legislative District, covering all or parts of five Southwest Washington counties, has the shortest life expectancy of any district in the state, according to a recent ranking by the Office of Financial Management. But the district’s legislators have been able to count on a long, untroubled political life, ending with a carefully arranged handoff. The district has elected Democrats since the New Deal and has frequently watched veteran lawmakers leave at mid-term, with veteran aides named to succeed them, and voters left to ratify the in-house turnover. Teresa Purcell is setting out to upset the apple cart. The Longview-based consultant, who advises women’s and Hispanic and environmental non-profits, is challenging appointed Democratic State Rep. J.D. Rossetti. Rossetti followed a customary path in a one-party district. State Sen. Brian Hatfield resigned to take a job in the Inslee administration. State Rep. Dean Takko moved up to the Senate. Rossetti, who has worked for Hatfield and State Rep. Brian Blake, was tapped by county commissioners to fill Takko’s House seat. He serves on the Longview School Board and was once student body president at Lower Columbia College. Democratic precinct officers preferred somebody else, but county commissioners fill vacant legislative seats and went with the experienced hand. Purcell is from an old Longview family, but her work around the country has convinced her that Democrats are “not connecting with the new America,” and “not growing the electorate” with young people and growing minority populations. Purcell is also a believer that Southwest Washington needs to appreciate its old resource economy but become part of a new health and technology economy. She is against the proposed Millennium Bulk Terminal, which would turn the site of an old Reynolds aluminum smelter into a huge coal-export port. 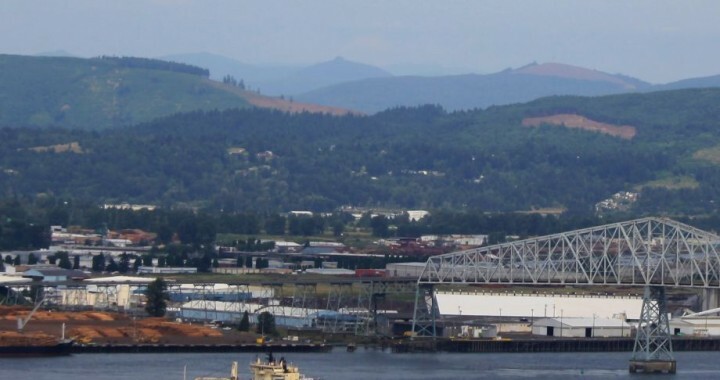 “I am opposed to the coal terminal because I believe it would ‘brand’ our community and discourage other businesses, people and industries from mloving here,” Purcell said in an interview. The 19th District battle has broader implications. Democrats hold a 50-48 advantage in the state House of Representatives. The Republicans have fielded a highly credible candidate in Jim Walsh, the libertarian-minded chair of the Grays Harbor County Republican Party. He seeks to be the first Republican elected in the 19th since 1947. “I don’t think it’s a bad deal to have contested Democratic primaries if both candidates are doing their organizing,” said Rep. Jessyn Farrell, D-46, who appeared Sunday with Fitzgibbon before the King County Young Democrats. Purcell is the insurgent, but enters with backing from U.S. Sen. Patty Murray, ex-House Majority Leader Lynn Kessler and Bette and Karen Snyder, widow and daughter of the late Senate Majority Leader Sid Snyder. All politics is local, and politics in the Southwest corner of Washington has suddenly become a lot less sleepy.